Brendan O'Dwyer was appointed Professor of Accounting at the University of Amsterdam (UvA) in 2004. He was Head of the Accounting division from 2007 to 2010 and is currently Dean of Research and a member of the executive management team of the UvA Faculty of Economics and Business. Brendan is a Fellow of Chartered Accountants Ireland (CAI) having previously worked with Ernst and Young in Dublin. He is recognised worldwide as an expert in the fields of sustainability reporting and assurance, non-financial reporting, and professional regulation. He has published numerous award-winning case-based papers, drawing on extensive practitioner engagement, in top-tier academic journals in these fields. The second edition of his co-edited text book on Sustainability Accounting and Accountability was published in May 2014 and is widely used in university post-graduate accounting programmes worldwide as well as by professional accounting bodies. Brendan was recently appointed to the Institute of Chartered Accountants in England and Wales (ICAEW) Sustainability Committee to advise on the Institute's future strategy for sustainability. He has advised Big 4 firms and companies on sustainability reporting and assurance and, more recently, on the emergence of integrated reporting. Brendan has held a number of senior academic roles. In his current role as Dean of Research he has led the development of a new research strategy in the University of Amsterdam Business School and has designed and implemented a new performance management system for research assessment aimed at stimulating world-class research output and quality. Jane Broadbent, B.A. Sociology (York), M.A. Accounting and Financial Management (Sheffield), Ph.D. Accounting (Sheffield), F.C.C.A, (Certified Accountant), CIPFA (Hon), AcSS, started her career in the NHS where she qualified as an accountant, gaining experience in all aspects of NHS finance. In 1981 she returned to full-time education completing a first degree in sociology as a mature student at the University of York. She held posts at Leeds Polytechnic and the University of Sheffield before moving to the University of Essex as Reader in Accounting in September 1995. She was appointed the first Professor of Accounting at the School of Management, Royal Holloway University of London in 1997 and served as Dean of History and Social Sciences (from 2000 to 2002) before taking the post of Vice-Principal (Academic Affairs) from 2002, which she held until 2004 when she became Senior Vice-Principal. In 2006 she moved to Roehampton University, London, taking the position of Deputy Vice-Chancellor and Provost until her retirement in 2012. Jane has since returned to Royal Holloway University of London taking a fractional position in the School of Management. She has also held numerous visiting appointments in Australia and New Zealand. She has made numerous plenary and other presentations to workshops and conferences in the UK, Continental Europe, Canada, USA, Australia, New Zealand, Brazil and Japan. She is on the editorial boards of many international journals and is the Editor of Public Money and Management and one of the Associate Editors of Accounting, Auditing and Accountability Journal and the Journal of Accounting and Organisational Change. Richard Laughlin is Emeritus Professor of Accounting specialising in Accounting and Accountability in the Public Services. His current research is on analysing public private partnerships and performance management systems in the public services. Richard has a M.Soc.Sc. in Accounting (Birmingham), a Ph.D. in Accounting (Sheffield), is a FCA (Fellow of the Institute of Chartered Accountants in England and Wales), a FRSA (Fellow of the Royal Society of Arts) and a FHEA (Fellow of the Higher Education Academy). He worked as a trainee and manager in a professional accounting practice and as a consultant accountant before joining the University of Sheffield as a Lecturer in Accounting and Financial Management in 1973. Richard was promoted to Professor of Accounting in 1991 and moved to the University of Essex in 1995. From 1995 to December 1998 he was Professor of Accounting at the University of Essex. From January 1999 until his retirement in September 2010 he has been Professor of Accounting in the Department of Management at King's College London. He was Head of Department between 1999 and 2002. Following his retirement he has become an Emeritus Professor of Accounting at King's College London. Richard is the Associate Editor of the Accounting, Auditing and Accountability Journal as well as the Journal of Accounting and Organizational Change. Jeffrey Unerman is Professor of Accounting and Corporate Accountability and Head of the School of Management at Royal Holloway, University of London. He is an Associate Editor of Accounting, Auditing and Accountability Journal and from 2012 to 2014 was President of the British Accounting and Finance Association, the UK learned society for accounting and finance. He holds a PhD in social and environmental accounting from the University of Sheffield, is a member of the Institute of Chartered Accountants in England and Wales (ICAEW) and the Association of Chartered Certified Accountants (ACCA), and is an honorary member of CPA Australia. Since June 2014 he has been a co-opted member of the ICAEW Council. Professor Miklos A. Vasarhelyi is the KPMG Distinguished Professor of Accounting Information Systems and serves as Director of the Rutgers Accounting Research Center (RARC) & Continuous Auditing & Reporting Lab (CAR Lab). He is credited with developing the original continuous audit application and is the leading researcher in this field. At Rutgers Business School, Professor Vasarhelyi heads the Continuous Auditing and Reporting Laboratory, which is working on projects for such leading companies as Siemens, KPMG, Procter & Gamble, AICPA, CA Technologies and Brazil's Itau-Unibanco. He also serves as a technology consultant for AT&T Laboratories. Vasarhelyi, who received his Ph.D. in Management Information Systems from UCLA, has published more than 200 journal articles, 20 books, and directed over 30 Ph.D. theses. He is the editor of the Artificial Intelligence in Accounting and Auditing series and the Journal of Information Systems. The professor also has taught executive programs on electronic commerce to many large international organizations, including GE, J&J, Eli Lilly, Baxter, ADL, Volvo, Siemens, Chase Bank, and AT&T. He received his MS. in management from Massachusetts Institute of Technology and earned a Bachelor's of Science degree in economics and electrical engineering from the State University of Guanabara and the Catholic University of Rio de Janeiro. Professor Jan Mouritsen is a leading international scholar with research focus on understanding the role of Management Technologies and Management Control in various organisational and social contexts. His empirical research attempts to develop new ways of understanding the role and effects of controls and financial information in organisations and society. He is interested in translations and interpretations made of (numerical) representations (e.g. as in budgets, financial reports, non-financial indicators and profitability analysis) throughout the contexts they help to illuminate. New Accounting and Management Control. Professor Mouritsen is currently editorial board member of a series of academic journals in management and business research including accounting, operations management, IT and knowledge management. Journal of Intellectual Capital and Critical Perspectives on Accounting. Sally Gunz is a Professor of Business Law and Ethics at the School of Accounting and Finance, University of Waterloo. Over the years she has developed research interests in the ethical responsibilities of professionals and has conducted several studies of ethical decision making by accountants and lawyers. Sally's present research interests are primarily in the field of applied ethics, specifically as it applies to members of professions. She also works in the area of legal and ethical responsibilities of auditors and actuaries. She is currently engaged in a project examining decision making by lawyers in private practice. Sally began her career as a practising lawyer in Sydney, Australia. James Gaa is a Professor, Department of Accounting and Management Information Systems, School of Business, University of Alberta. previously a member of the International Accounting Standards Committee. James' research has focused on various aspects of professional ethics. He has PhD degrees in philosophy and in accountancy. Professor Wolfgang Schultze is a world renowned accounting scholar and researcher. His research interests are financial accounting, valuation, capital markets, performance measurement, international accounting, goodwill, value-based management, intangible assets, earnings management and fraud. In 2011, Wolfgang founded the Centre of Performance Research and Analytics (CEPRA) at the University of Augsburg. Wolfgang has published over 70 books and articles in both national and international academic journals, and is also a member of several national and international professional and academic associations. Wolfgang is very active in linking German and international accounting research to promote a broadening of the scope of accounting research in Germany. He was appointed the German country representative of the American Accounting Association in 2010 and serves as their liaison partner to foster international collaboration in accounting research. Professor Karen Pincus is a distinguished Accounting Educator and leader in the accounting profession. Professor Pincus specialises in auditing, with an emphasis on research involving audit judgement and fraud prevention and detection. She is renowned for her role as a top accounting and professional educator, being a former recipient of the AICPA's Distinguished Achievement in Educator of the Year Award. Professor Pincus serves on the editorial boards of Auditing: A Journal of Practice and Theory and Issues in Accounting Education. Professor Pincus will also serve as President-Elect of the American Accounting Association in 2011-2012 and President in 2012-2013. As a frequent speaker at regional, national, and international conferences and other universities on accounting education change, Professor Pincus is an outstanding and highly demanded public speaker. Professor Jan Mouritsen is strongly research oriented towards understanding the role of Management Technologies and Management Control in various organisational and social contexts. Professor Mouritsen focuses on empirical research and attempts to develop new ways of understanding the role and effects of controls and financial information in organisations and society. He is interested in translations and interpretations made of (numerical) representations (e.g. as in budgets, financial reports, non-financial indicators and profitability analysis) throughout the contexts they help to illuminate. His interests include Intellectual Capital and Knowledge Management, Technology Management, Operations Management, New Accounting and Management Control. Professor Mouritsen has also published in renowned journals, including Accounting, Organizations and Society, Accounting, Auditing and Accountability Journal, Critical Perspectives on Accounting and Management Accounting Research. Professor Mouritsen is currently editorial board member of 12 academic journals in the various areas of management and business research including accounting, operations management, IT and knowledge management. Professor Stefan Schaltegger is internationally renowned as a specialist in sustainability. In particular, Professor Schaltegger is research focused in sustainability management (especially environmental information management, operative and strategic environmental management, sustainable entrepreneurship), strategic management (especially stakeholder management), integration of management and economics, spatial economics and environmental economics. Professor Schaltegger received the Environmental award of the German Environmental Management Association (B.A.U.M.) in 2007 and Research award by the Professional Accountants in Business Committee of the International Federation of Accountants (IFAC) in 2004. Professor Schaltegger serves on a number of editorial boards, including Business Strategy and the Environment, Corporate Social Responsibility and Environmental Management, International Journal of Business Environment and Accounting, Auditing and Accountability Journal. Professor Schaltegger is also the founder and director of The Centre for Sustainability Management, an internationally active centre of excellence for Corporate Sustainability Management, Corporate Social Responsibility (CSR) and Social Entrepreneurship. 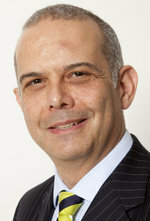 Professor Solomon is an internationally-known auditing researcher who has an established reputation as a leader in consolidating auditing practice, research and teaching in a plethora of innovative ideas and publications. 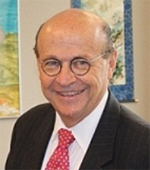 Professor Solomon developed risk-based auditing in the late 1990s and has continued to work with the profession as a pioneer in various types of audit research. He has published over thirty articles in a variety of scholarly journals and books, including the top tier Journal of Accounting Research (JAR), Accounting, Organizations and Society (AOS) and Auditing: A Journal of Practice and Theory (AJPT). He is a co-author of Auditing Organizations through a Strategic-Systems Lens, which received the Joint AAA/AICPA Collaboration Award. He has served as an associate editor of The Accounting Review and Accounting Horizons and is a member of the editorial board of numerous journals. Professor Michael Shaub is a Clinical Professor of Accounting at Texas A&M University, College Station, Texas. His research interests are ethical decision-making in accounting, trust and independence and professional scepticism, wisdom and creativity in accounting and auditing, audit failures, audit judgements and careers in professional accounting. Professor Shaub has developed a number of research instruments in auditing and ethics and has published a wide range of articles, other papers, reviews and monographs in auditor sensitivity and behavioural research. Professor Shaub is also active as a book review editor and journal reviewer. He is currently the book review editor (2010-12) for Issues in Accounting Education, an American Accounting Association (AAA) journal, and serves on the editorial board of three top-tier journals. Professor Dan Dhaliwal is a world renowned accounting scholar and researcher. His key contribution is in the area of international accounting. Dan has been editor of a leading (A*) journal The Accounting Review and is currently a member of the Editorial Boards of the Journal of Accounting Research (A*) and The Accounting Review. Dan publishes in leading journals across a broad range of areas of accounting and capital market which also encompass issues in auditing and tax. Professor Kari Lukka is an expert in interpretative research in management accounting and has published extensively in the area of feedback and control, management performance and measurements in management accounting. His key contribution is in the area of developing research paradigms in management accounting. Professor Lukka was the editor of European Accounting Review for several years, and currently is an active member of the editorial board of that journal. He is known for his contribution in the development of case studies in activity-based costing research. He has published in top tier journal on the issue of management accounting research, in particular, approaches to case studies, constructive research, and on performance feedback. Last Updated: 2015-03-09 09:17:41 by Unknown.